Simple recipe and amazing flavors to impress guests. If you are looking for some amazing diner or lunch fix and still it should be an easy,flavorful dish then this will definitely be on your list. 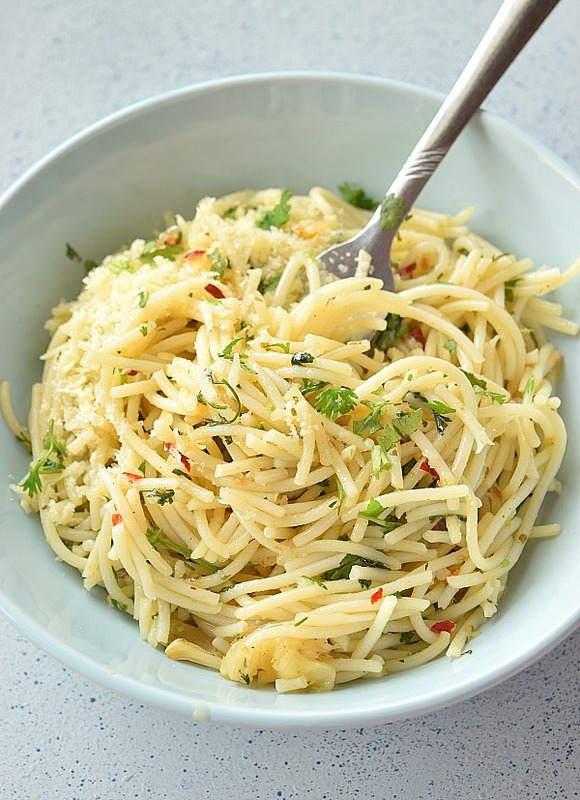 Spaghetti aglio e olio (pronounced [spaˈɡetti ˈaʎʎo e ˈɔːljo]; Italian for "spaghetti [with] garlic and oil") is a traditional Italian pasta dish from Naples. 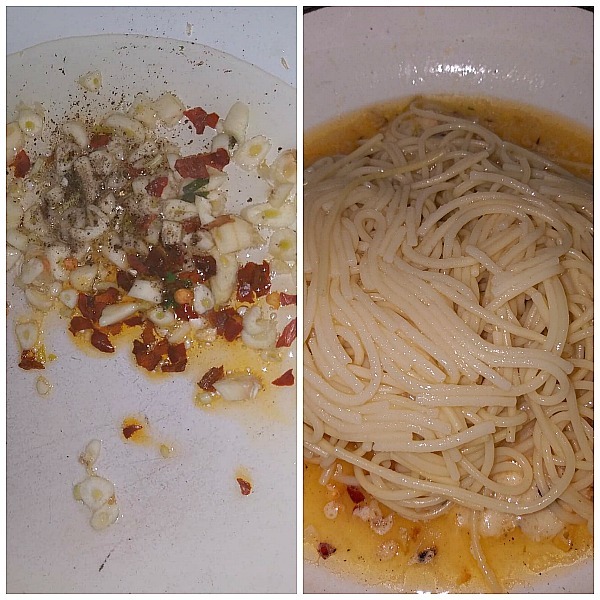 The dish is made by lightly sauteeing sliced, minced, or pressed garlic in olive oil, sometimes with the addition of dried red chili flakes (in which case its name is spaghetti aglio, olio e peperoncino), and tossing with spaghetti. Finely chopped parsley can also be added as a garnish, along with grated parmesan or pecorino cheese, although according to some traditional recipes, cheese should not be added. What are the ingredients of this recipe? Olive Oil: Another ingredient that adds so much flavor to this recipe. You can use half-and -half Butter and Olive Oil too. 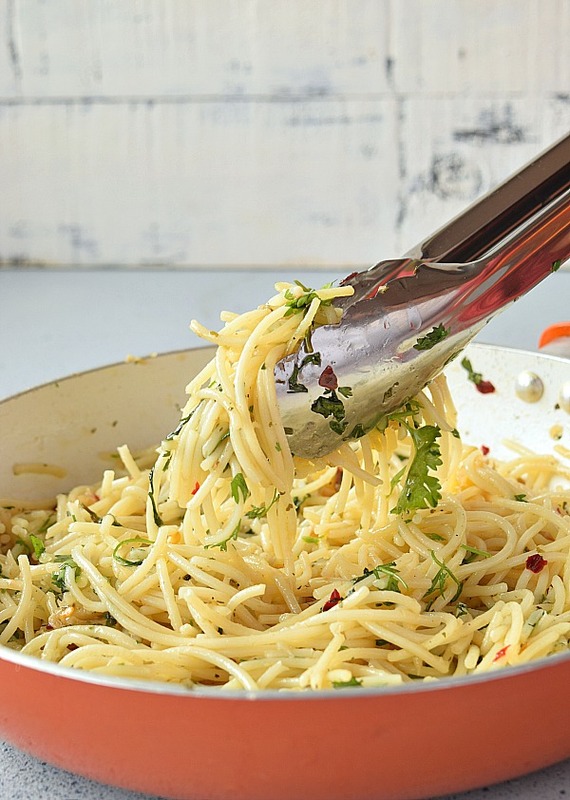 Parmesan: Skipping Parmesan wont give you that amazing flavor so please don't skip Parmesan. Parsley: Use fresh Parsley and if you don't have use dried too. Red Pepper Flakes: Adding Red Pepper / Chili Flakes add an amazing flavor kick. The steps are pretty simple,cook your pasta as per package instructions. Toss with little olive oil and keep aside once done. In a pan,add olive oil,add garlic,red pepper flakes,black pepper ground and toss well it fragrant. Do not burn garlic or the dish will taste bitter. Add spaghetti,grated Parmesan(1/2 of the quantity) and toss well. Finally add some chopped parsley and remaining Parmesan. 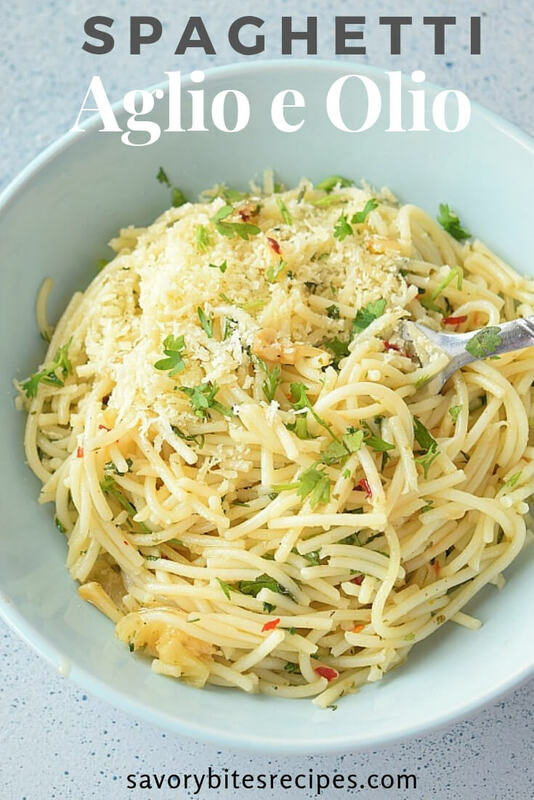 Very easy and delicious dinner /lunch fix with this recipe of Spaghetti Aglio e Olio! 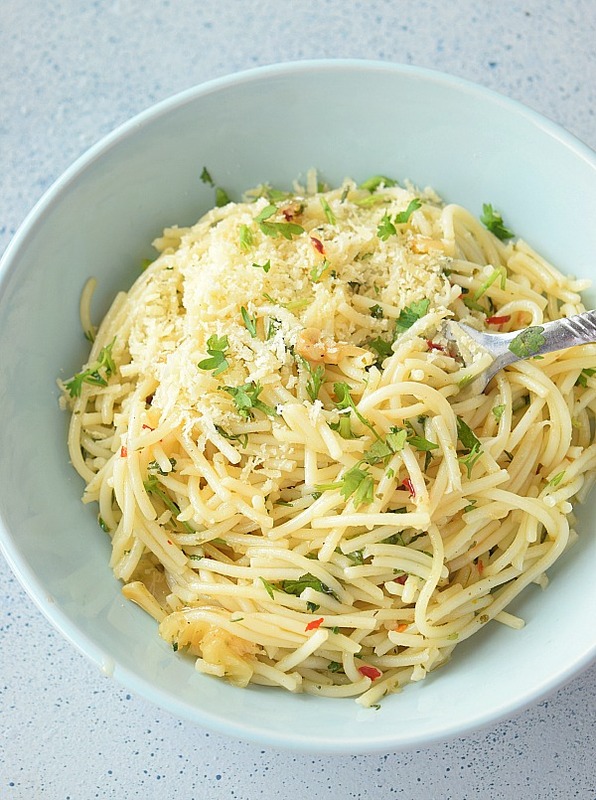 Basic ingredients like Garlic,Olive Oil,parsley,Spaghetti,Parsley makes a great dish to impress and a great recipe for date night. Cook the spaghetti/pasta as per package instructions. Drain under cool water and toss in some olive oil and keep aside. In a pan,add olive oil and to it add red pepper flakes,ground black pepper,garlic chopped and toss well. Make sure garlic does not burn or the final dish will turn bitter. To this add the spaghetti/pasta,salt,half of the Parmesan and toss further till mixed well. Finally add the remaining Parmesan and parsley.